G.H. 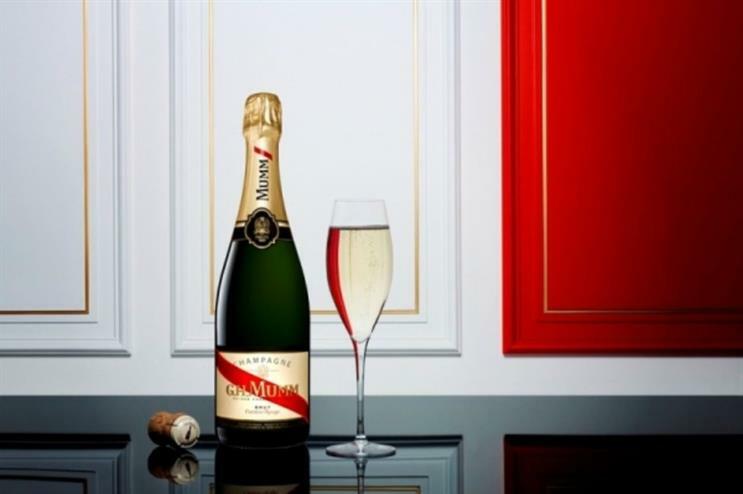 Mumm has devised a pop-up champagne bar, as well as wine tastings and one-off dinners within The Roman Baths in Bath, as part of National Champagne Week (1-7 October). Situated within the Pump Room spa, the bar will open from 10am throughout the seven days. It will serve a range of the champagne house's varieties, including the signature Cordon Rouge beverage and Mumm Rosé offering, as well as live music. The brand is hosting a champagne tasting dinner within the space on Friday (2 October), which will be led by champagne sommelier Jonathan Simms. Guests will enjoy a four-course dinner with matching G.H. Mumm champagnes as Simms talks them through the house's history. Champagne aficionados are also invited to attend G.H. Mumm’s champagne afternoon tea and live music breakfast, both of which are taking place within the famous building throughout the week. Veuve Clicquot is hosting a 'Cliquology' masterclass as part of National Champagne Week, where the focus will be on the brand’s new Veuve Clicquot Rich offering, which has been designed specifically for mixology. The event, to be held at Searcys One New Change Champagne Bar, will see attendees personalise their own Rich cocktails by choosing from a selection of preferred ingredients. There are also plans to host a tasting evening wtihin the space on 6 October, where guests will have the opportunity to sample four different champagne varieties and matching canapés as they hear from Joe Gunner, an expert in mixology and champagne. Piper-Heidsieck has devised a series of cinematic-style events, including the Grand Cinema Afternoon Tea Experience at Kenwood House, where guests will be served snacks in an usherette basket, meanwhile their bottle of Piper-Heidsieck Champagne will come in a popcorn ice bucket. There will also be a Champagne and Cocktail Tasting Premiere, which includes a rep carpet experience, tasting of four Piper-Heidsieck champagne varieties and matching canapés, as well as limited edition champagne cocktails by Jeremy Pascal. Catering company Searcys founded National Champagne Week to celebrate the diversity of the beverage. Events are to be held at both its venues and those in which it caters for across London, Bath and Birmingham.